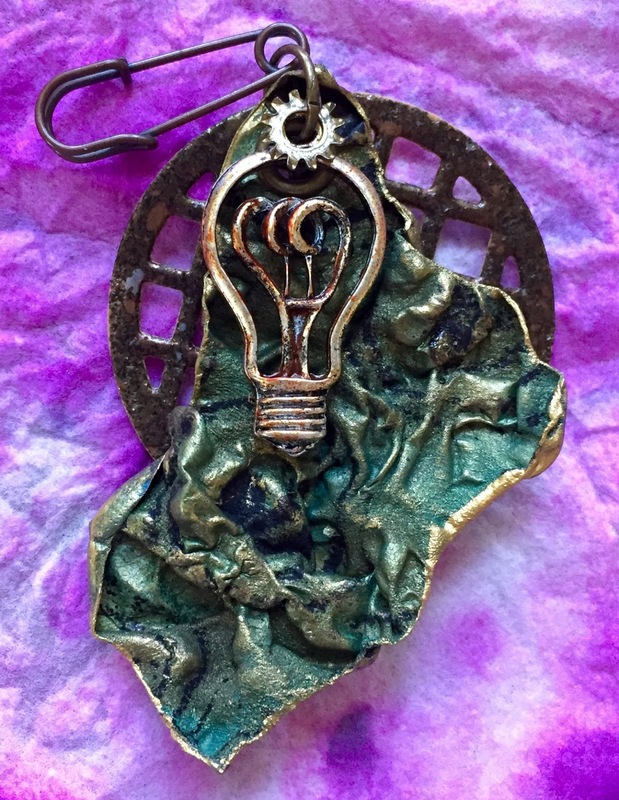 More Extra Steam Power from Maura! 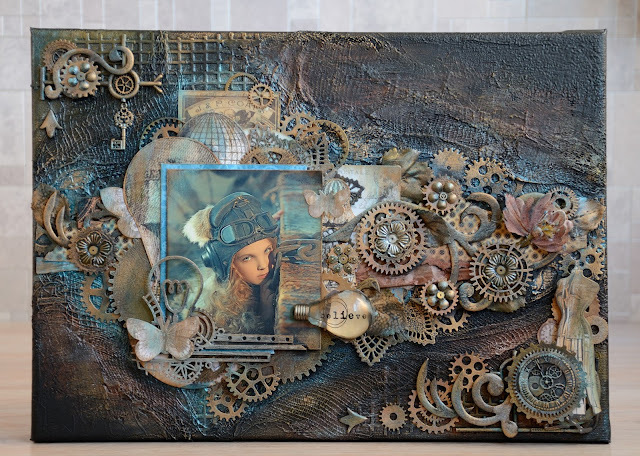 Servus and welcome back to another dose of steampunk mixed media inspiration! This time Maura is sharing some of her fabulous and imaginative art and how-tos with us! Enjoy! (and don't forget to join in our summer challenge! There is still time until the end of August to play along! You get to the challenge by clicking HERE). "We all need a bit of extra steam to get through the summer, right? Especially when it gets hot, we want that steam power to work on cooling us off. 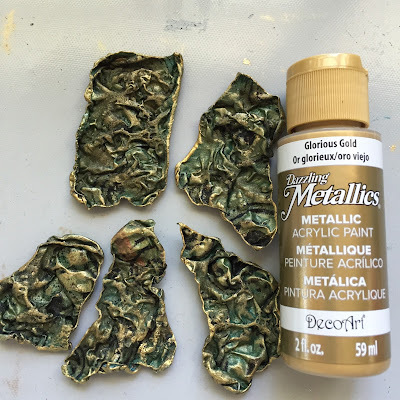 Well, here is a "hot" project for the summer! I have been having a blast playing with Tyvek lately and making charms for an upcoming art retreat in the fall. I am reusing mailing envelopes made out of Tyvek and painting them with DecoArt paints. This time, I tried painting both sides of the material and I found it gives it a more finished look. I was feeling experimental, so also tried some stenciling just to see if it would add anything. 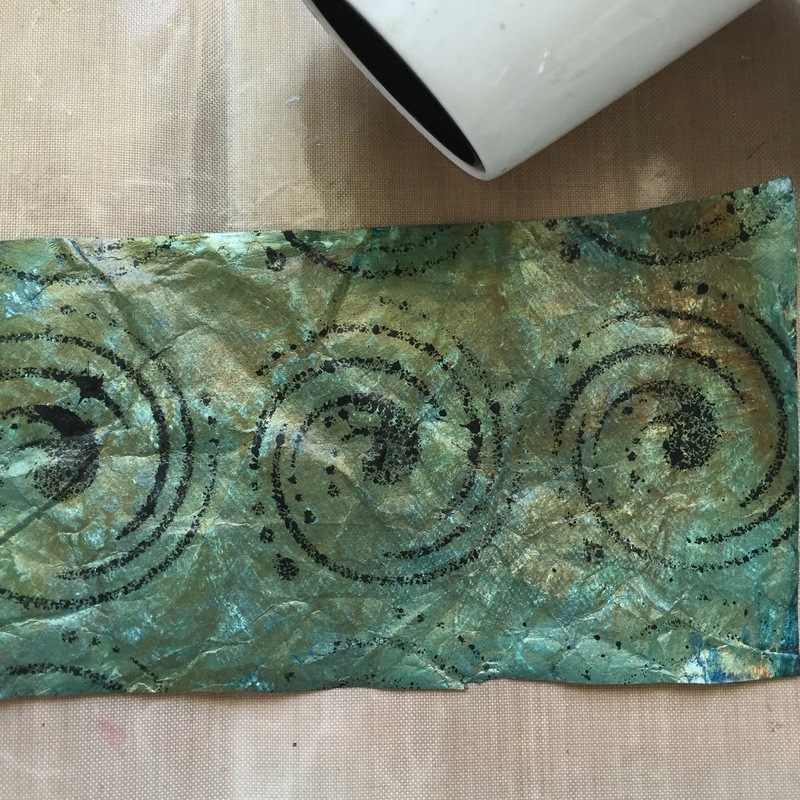 Next step, heat the painted Tyvek with a heating tool. 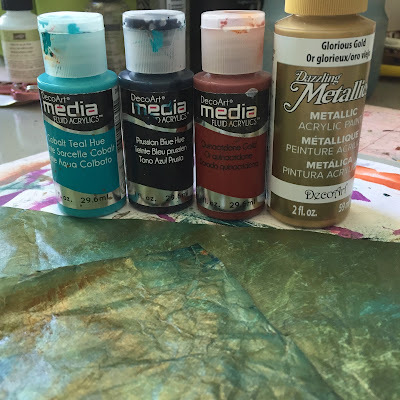 I do this over a wood board with a craft sheet on top and in a well ventilated space. 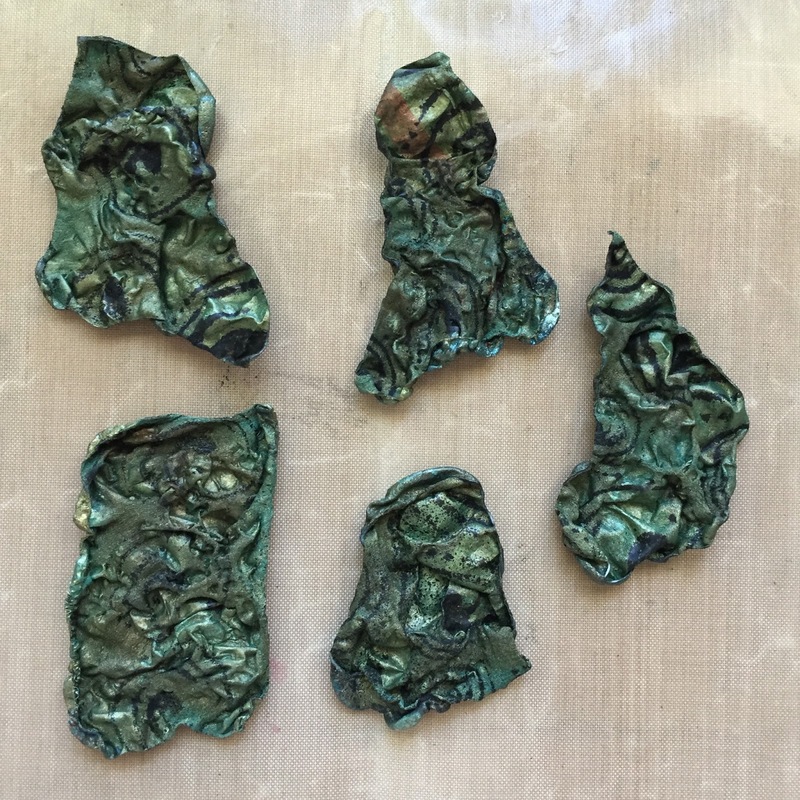 The more you heat it, the more it bubbles and shrinks, so watch carefully to get it right where you want it. Look at that texture! Oh yes, I do love this stuff! I added a large eyelet, then hung or attached some charms. Here are the finished pieces..."
Hi, servus and welcome back to some Extra Steam Power to provide you with! 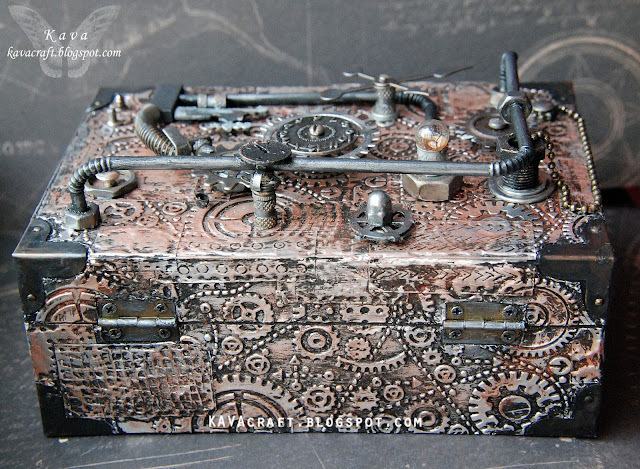 Lovely Brigitte has created a wonderful steampunk box by altering a book. 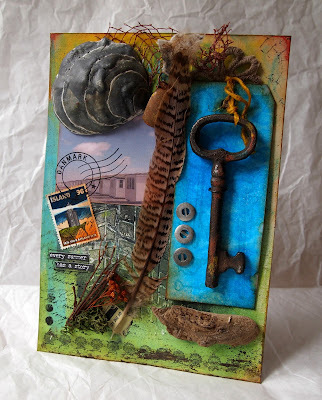 She created loads of yummy texture from tissue tape and painted embellishments and used the beautiful vintage image of a photographer! I love it! 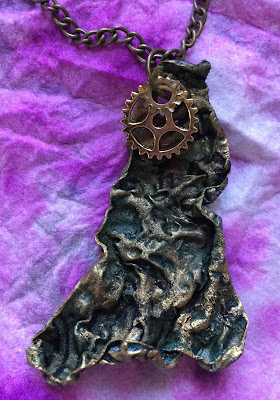 Thank you, dear steampunk friends, for stopping by! Let me remind you of our actual summer challenge and that there will be more inspiration from Team B on the 1st of August! So make sure you come back then to check it out! There will also be more steam power from lovely Maura for you next week! So don't forget to stop by on the 21st! And we hope to see you play along with us soon! 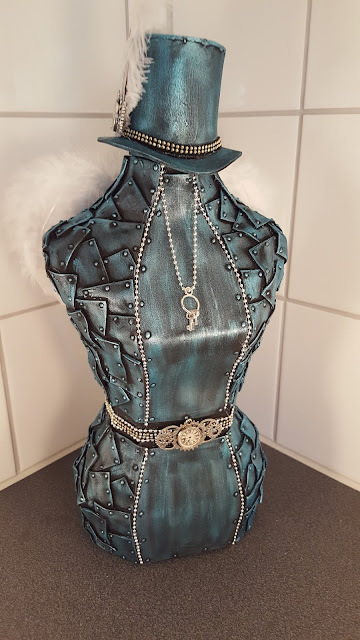 Servus and welcome back to the announcement of our Top5 and prize winners of the two fab prize packages generously donated by DecoArt Media and boozybear! Let's start with our prize winners this time. They were - as always - drawn randomly among all proper entries. Prize winners, please contact me via email (see sidebar) so I can send your shipping details to our sponsors asap. 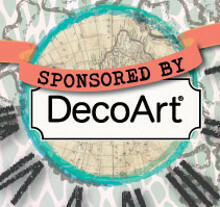 DecoArt prize winners, please, also add your phone number to your shipping address as DecoArt only ship to you if they have a number. I will be on holidays during the next five weeks and the internet over at our summer residence isn't the best - so please, bear with me if I don't reply immediately. I will try my best! 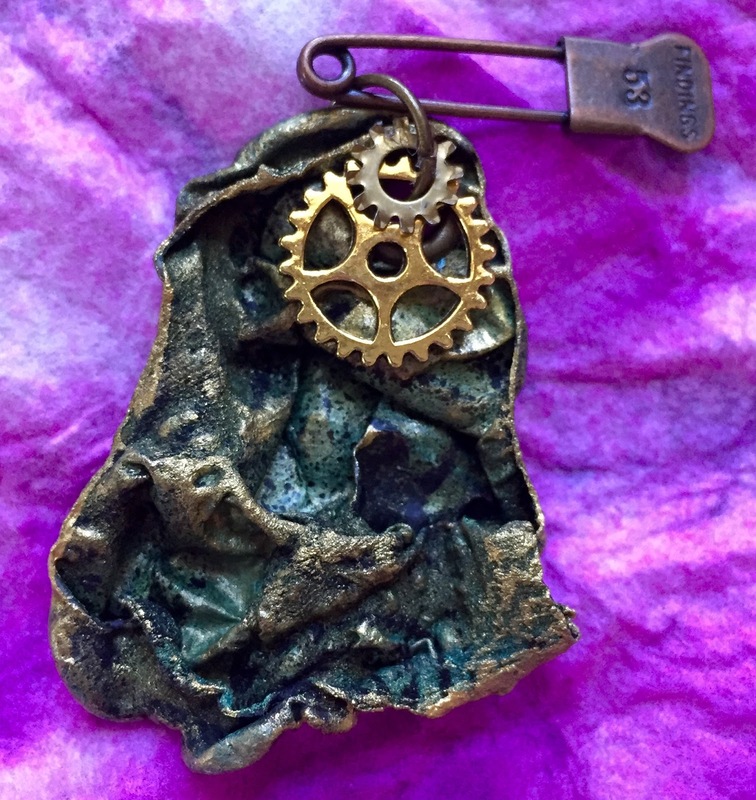 for the boozybear steampunk chipboard surprise pack! Huge congrats on your prize wins, ladies! Have fun! And on to our Top 5 which were immensely hard to choose this time (well, honestly they always are and the team and I are constantly blown away by the imagination, skills, love and labour that your entered projects so beautifully show). 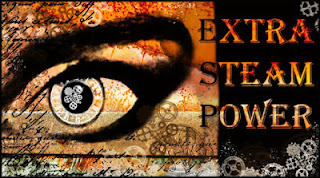 We have also noticed that our little creative steampunk spot has been "found" by the Russian players and we want to say a heartfelt "Hi and welcome to our challenge blog!" to all of you! Huge congrats to all the winners! 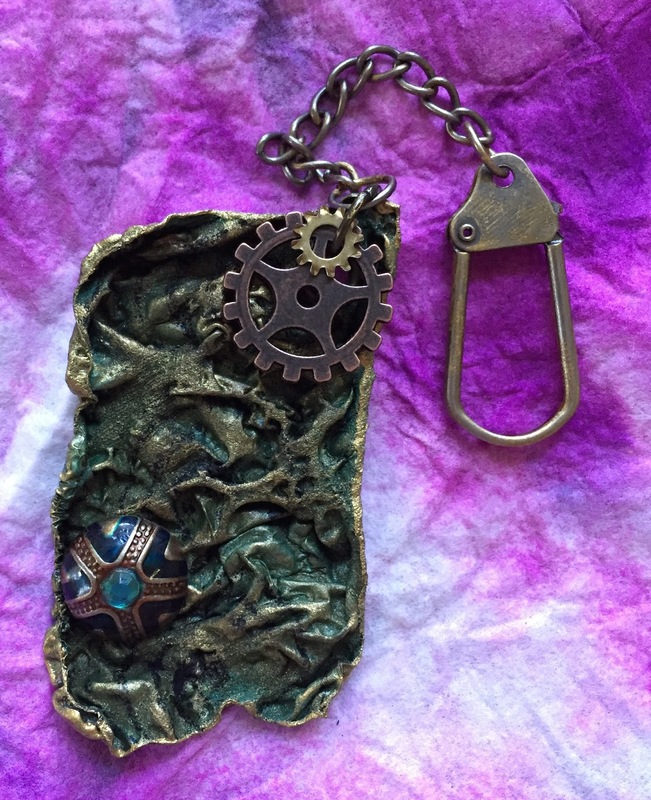 And thank you all so much for playing along and sharing your awesome steampunk creativity with us! 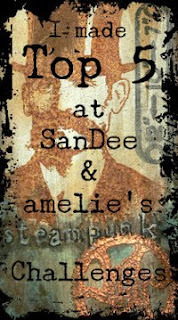 Please, feel free to grab the Top 5 badge for display on your blogs! If you haven't checked out our actual summer special challenge this may be the right time to do so. Just follow the link HERE to the post and join in the fun! We will also try to provide you with additional "Extra Steam Power" during the summer months so you stay inspired and don't forget us. And there will be more projects to look at on 1st August, when team B will be sharing their makes! So stay tuned! Hugs, happy holidays and happy crafting! 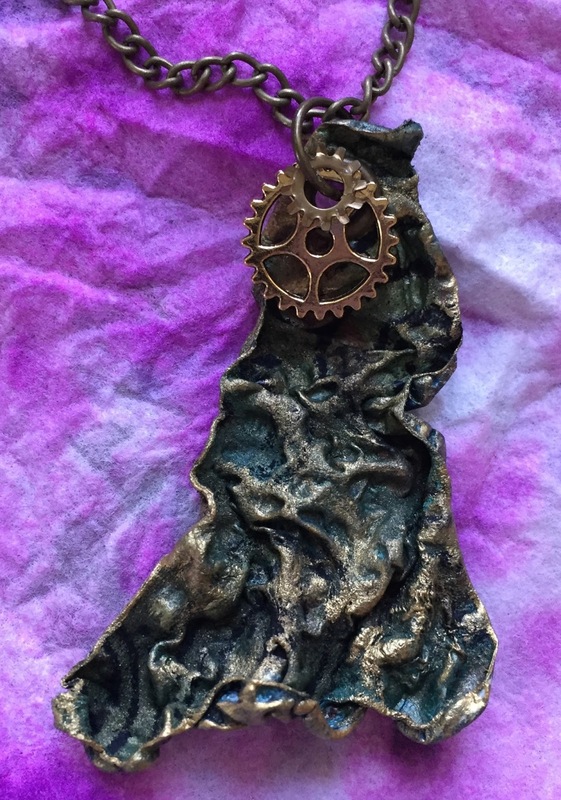 And we decided to raise the "3 entries" limit up to 5 for this challenge - just in case you are on a steampunk roll and can't stop. 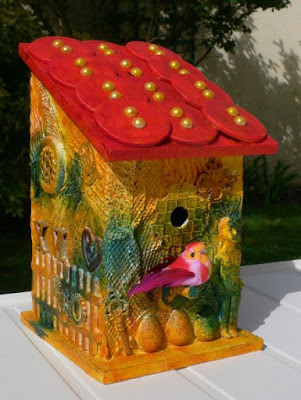 Lovely Glenda from the fab boozybear chipboard shop has offered to donate two surprise prize packs instead of the usual one for this challenge - how fab is that? 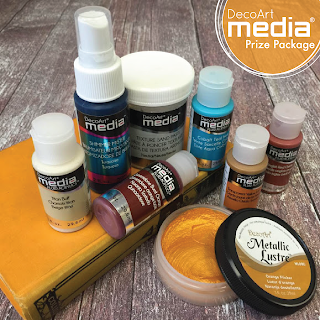 And of course DecoArt Media will be giving away the usual steampunk goodness prize pack too. (Prize winners will be drawn from all proper entries after the challenge has closed on August 31st and announced along with our Top 5 shortly afterwards). There will be more projects from Team B on the 1st of August and we will also try to provide you with some "Extra Steam Power" during these two months! So make sure you check back from time to time to not miss anything! But for now let's start with the amazing projects from Team A! 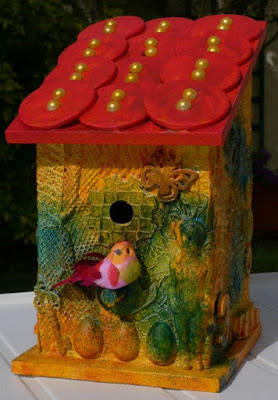 has created this gorgeous wooden birdhouse using "metal, wood, plaster, resine, button and more and more stuff". 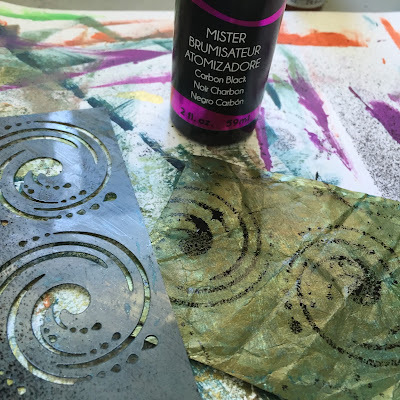 There is a full tutorial with loads of steps images on her blog! You get there by clicking on her name. has even managed to bring fresh and cool summer colours into her wonderful steampunk pendant! 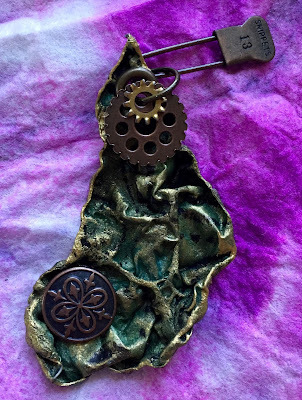 why not accessorize an every-day outfit with a simple patina gear pendant. :)"
"I love London, and steampunk is constantly related in my mind with this town. I altered old clock with some maintained things." Of course we will announce our Top 5 and prize winners from the June challenge before we all head off on our holidays! They will be announced on Saturday, 8th July! We all wish you fantastic summer holidays, good weather, fun in the sun, relaxation and delightful outdoor adventures!